Because you always need to buy new shirts (well at least that’s what I tell myself)…. 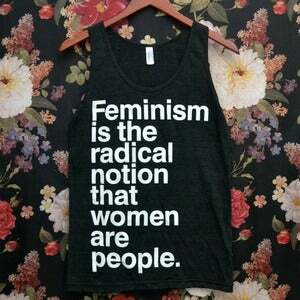 Let’s talk about that dirty F-word that people like to avoid: “feminism”. But why? There’s nothing wrong with being a feminist! Feminism is founded on a belief of equality, it’s as easy as that. Why run from it? Show off your feminist pride! 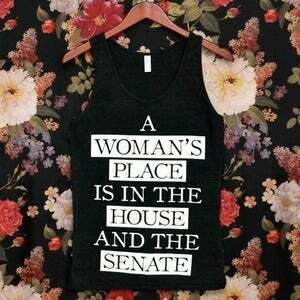 A woman’s place is in the House and the Senate.